Jay King is a senior paralegal and office manager at Valente Law and is integral in all aspect of the practice, specifically in client account management. 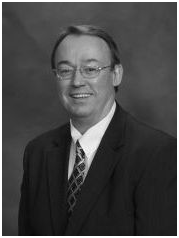 Jay brings more than 35 years of corporate finance experience to Valente Law, LLC. After graduating from Harding University with a major in business administration and finance, Jay began his career with the Beneficial Finance Corporation. Jay then accepted a position with the Marler-Haley Group of London, England, and developed his start-up company into the largest independent representative producer in their domestic network. His organization was awarded the prestigious National Producer of the Year honor multiple times. Most recently Jay comes from a position at an $800 million corporation where he served as Director of HQ Operations. Jay and his wife reside in Champion, Ohio. They have been active most of their lives in nonprofit organizations on both the local and national level.